I bought these for my son & husband after first finding them at a Staples many years ago. It does indeed slim down thereby making it comfortable for a man's back pocket. I love this wallet. It is the best I've ever owned. 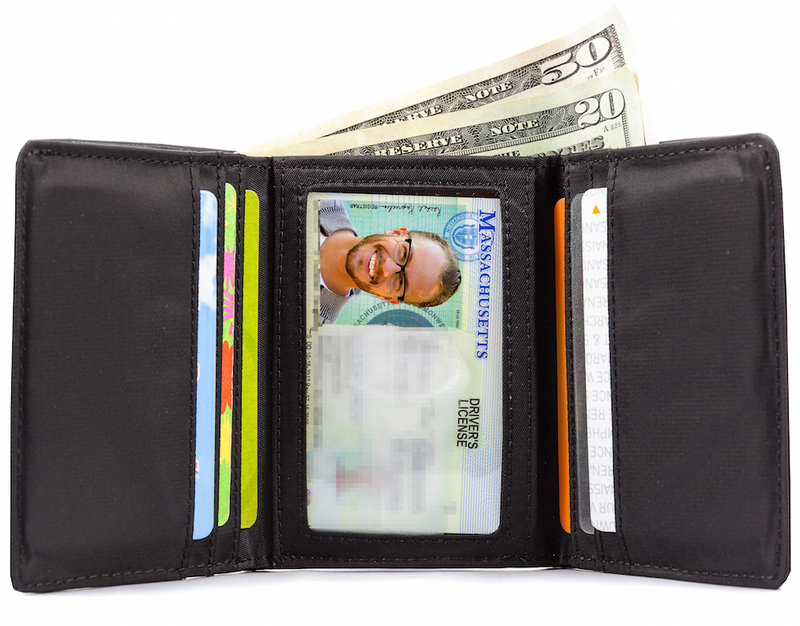 However, I don't like black wallets because darker color wallets are hard to see/find in dim lighting. 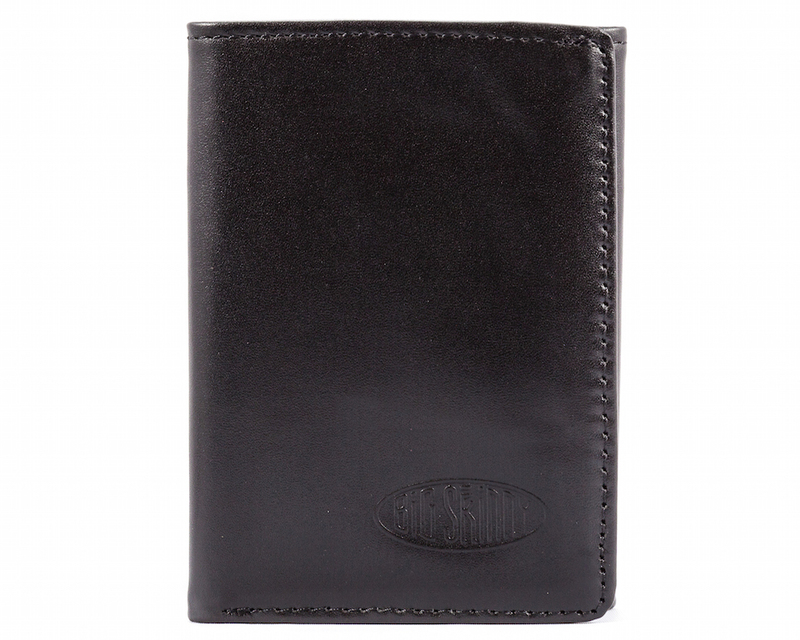 I would much prefer this wallet in light brown because that would be very visible/functional and classy looking too. 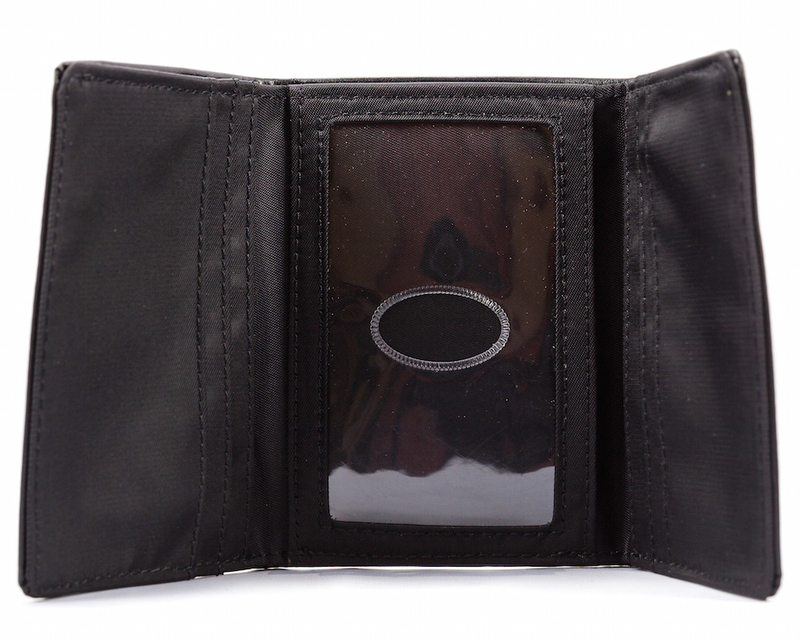 ProsSmall, thin, holds enough stuff, rfid blocking, leather outer. ConsIt's black. That makes it hard to find in dim lighting. May God help you if you drop it at night. I wish they offered this wallet in tan light brown because that would be easy to see in any lighting and still look good. This is my husband's second Big Skinny Tri-fold leather wallet. The first one finally bit the dust after about six years. He went with the new RFID Blocking Trifold Leather this time for the security. These wallets are amazingly thin even after loading with the usual DL, Ins. cards, work id/key, and approximately a dozen orher credit or id cards. You can't go wrong with Big Skinny. ProsCan fit a lot of cards, looks great and lasts a long time. 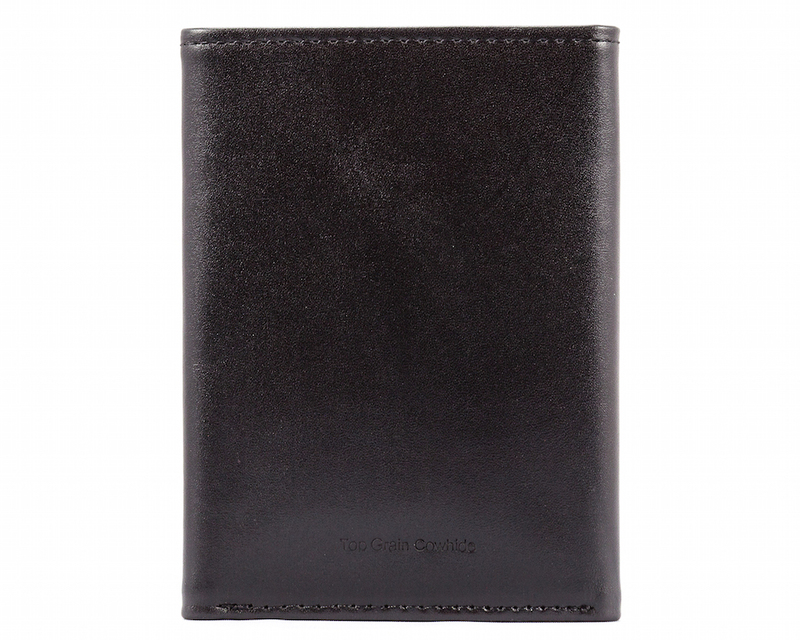 The wallet is thin, which is what I wanted. Although there isn�€™t a pouch for change it�€™s okay. It works great and I like the oversized slots for credit cards and all. This tri fold wallet exactly as they said. 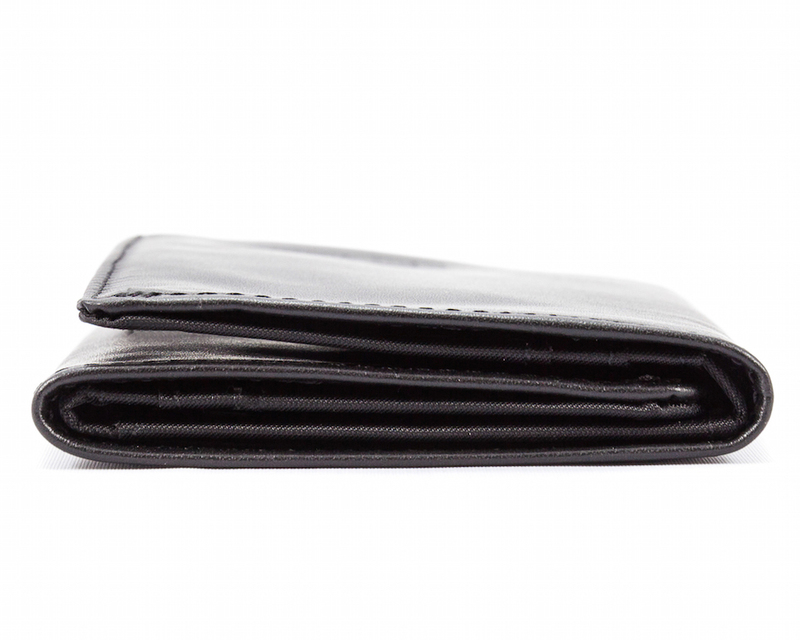 The new wallet is half the size and almost have items loose . This is my second Big Skinny wallet. Had ordered the wallet but some how delivery was misplaced. Big Skinny was kind enough to immediately send out a replacement without additional charges. Very impressed with the wallet and the customer service as well. Thanks! Very fast shipping. Skinny sized even after adding credit cards. Love this Wallet. Fits my credit cards great. Nice and skinny as promised. The quality of the wallet is beyond great.